Most of us have had a teacher we wanted to impress. So badly. A teacher we truly connected with, that we would work our hardest for. We all want to be that teacher for our students. But no one can do it for everyone. No matter how hard we work to engage our students and show them that we care, they need a reason to work hard that is not all about us. They need to be sharing their writing with others, putting their voice out into the world so that there is more at stake than the opinion of one (no matter how caring) teacher. 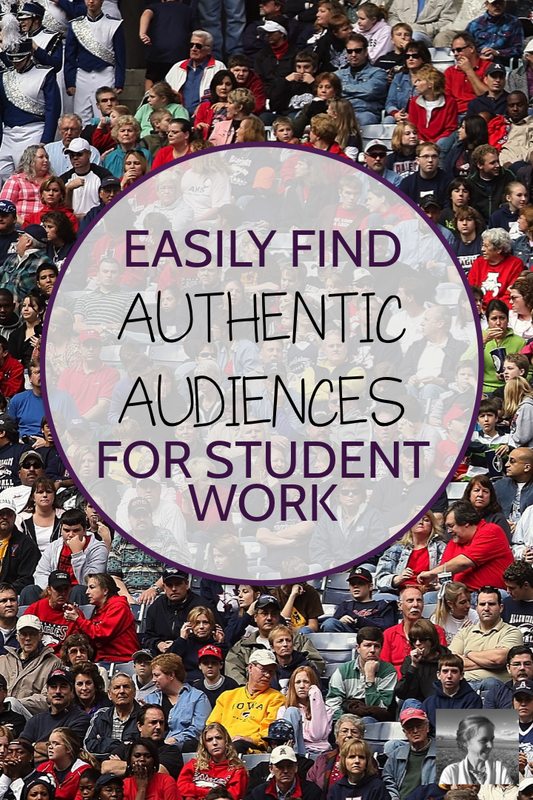 Helping students find authentic audiences for their work can make a big difference in their lives. Have you watched a student perform spoken word for her peers? Noticed their faces when their principal walks into a showcase night featuring their work? Seen the affect it has on them when a younger student is deeply impressed by their project? I've seen my students' eyes light up when they read letters from other kids halfway across the world, found out National Public Radio would be publishing their essays, or discovered that their work would be featured in a special display at our school. So how can you find that elusive authenticity that will give your students a chance to feel like their creative work really matters? Here are five ideas to help you help them take their work to the next level. #1 Let them Invite Guests: Every course has its showcase project (and the more, the better, I say!). 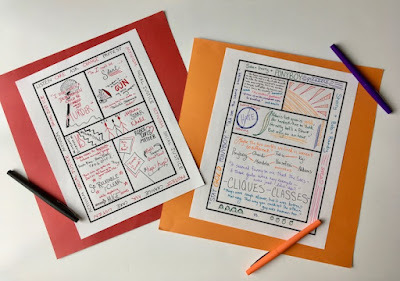 Whether your students are culminating a unit with a performance, poetry reading, art gallery, debate, mock trial, or something else amazing, let them know up front that you plan on having guests in the classroom on that day, and you'd like them to be in charge of choosing and inviting those guests. Make suggestions - would they like to invite their parents? The youngest students at the school? Their principal? And then make inviting those guests a part of the project. Get some RSVPs and let your students know who is coming. #2 Work with Blog Portfolios: Ask students to put up their best work on a blog online. Remind them not to use their full names or any personal details, just images, links, text, video, whatever they want to represent themselves and their work. Then build in assignments where students check out each other's work and comment. You can see some examples of student blog portfolios here and here. #3 Submit to Something: When I was in high school my favorite English teacher built a personal essay writing unit around the local rotary essay contest. Never had I worked so hard on a paper, and eventually I won the contest and received four hundred dollars at a special prize ceremony. I was beyond thrilled, and it helped reinforce my positive feelings about English and writing (and I did become an English teacher and a writer). I've had my student write "This I Believe" essays to submit to NPR for publication online, though NPR no longer accepts entries, and I've heard from other teachers about various writing contests they have found. Look around in your area, or check with organizations that you care about, and see who is hosting student writing contests or offers opportunities to publish student work. Write letters to the editor or even submit articles to the school newspaper on some theme connecting to your course. Giving students a chance to potentially see their name in print or earn a sense of honor and validation in the community really helps them focus in on their writing. #4 Add a Performance Element: There are SO many ways to do this. Reading poetry? Do a poetry coffeehouse on campus or a poetry slam or jam. Reading The Canterbury Tales? Have students perform their own tales as you wander around campus, then vote on a winner to receive a fun prize. Reading a play? Have student groups perform scenes for the class. Working on personal narrative or reflective essays? Have student choose snippets to read into a mic as if recording a live radio show - we did this with our "This I Believe" essays after listening to several featured on NPR, and it was so much fun. 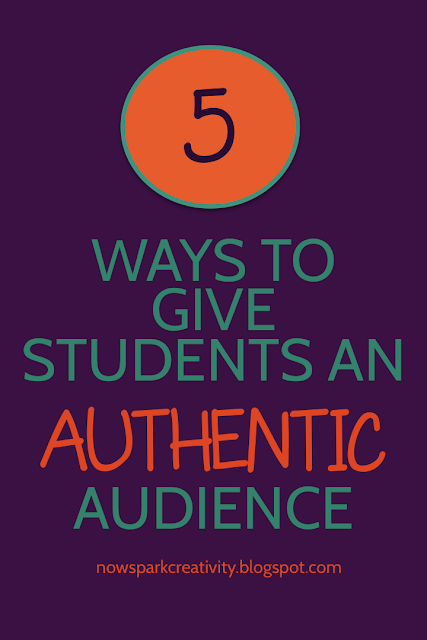 #5 Make them the Expert: Who hasn't heard that teaching helps you learn? Consider how and for whom you can make your students the expert. Have your seniors finally mastered the college essay process? Have them share their essays and their wisdom with your juniors. Have your sophomores struggled through to mastery of the formal introduction? Have them create a video course about it to show next year's sophomores. Create a final exam where students record podcasts or make videos about all that they have learned and then share them via a class blog or website. There are so many ways to help students feel they are sharing their mastery, giving them a stronger sense of self and more confidence in the subject along the way.